Bruce Arena’s first game back as head coach of the US Men’s National Team ends in an uneventful scoreless draw against Serbia. Qualcomm Stadium San Diego, CA. Both coaches hampered by the non-FIFA date called upon mostly domestic players that are in preseason form, and it showed on the pitch. 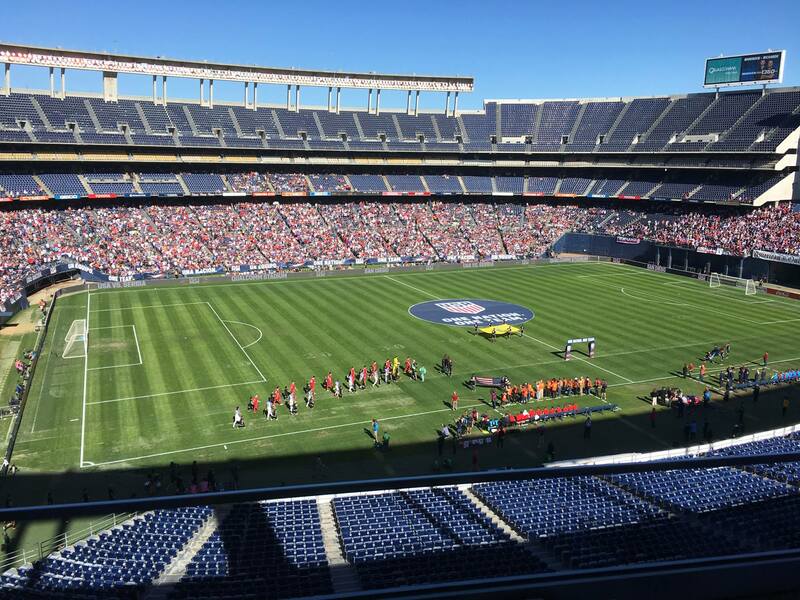 The US lined up on 4-2-3-1 formation that was anchored by Michael Bradley and Jermaine Jones. Both had solid games but lacking precision. Most of the US attack began with Bradley starting the play deep, at times behind his center backs. The sloppy play led to a few good free kick chances for the Serbians, but ultimately leading to no real danger. The first real chance came at the 19th minute just as Serbia began to enjoy some possession, Sacha Kljeston found Jozy Altidore outside of the box who headed the ball down into Jones’ path who blasted the half-volley wide. The spectators enjoyed several entertaining minutes of open play with the best chance of the first half at minute 25. Alejandro Bedoya sent a thru ball into the right side of the box which was crossed by Jones, the ball flashing tantalizingly in front of goal unable of finding anyone to break the deadlock. The second half brought lots of substitutions, a few good chances, but no goals. The most impactful substitute for the US was Sebastian Lletget who immediately improved the midfield and began to combine well with Sacha and later Benny Felihaber who received the loudest reception from the 20,000 in attendance. The surprise substitute was Sueño MLS winner, Jorge Villafaña who unexpectedly entered the match in the 70th minute. The Santos Laguna player was visibly excited after the match for the opportunity his new coach is giving him. With a likely start against Jamaica, Jorge will get his true audition for a chance to start in the must win home qualifier against Honduras. Man of the match honors goes to Darlington Nagbe who was the US’s only consistent attacking threat. While Arena’s concerns at outside back remain unresolved his attacking options seems to have improved going into March’s qualifiers with Nagbe’s lively performance. Really enjoyed your article. Glad to hear Villafaña is getting an opportunity to prove himself. Can’t wait to see him play against Jamaica.